All of us who are involved in the skeptics movement are regularly confronted with one of two reactions when revealing ourselves as skeptics: either that we are cynics or that, like the classic skeptics, we don't believe that anything is knowable. In this episode, Massimo and Julia take us trough the history of skepticism. From its roots in ancient Greece, to Descartes, the last rationalist, to David Hume, the father of modern skepticism, and to today's skeptic movement. Also, is anything really knowable? How do we know that we really exist and are not residents of a cosmic holodeck? Didn't Descartes (and doubtless others) already cover this? We know we exist as some kind of process because we think. As far as the cosmic holodeck rule goes as always we are compelled to go with the best guess and the best guess would be that no we aren't. We may perceive the objective world incompletely and sometimes mistakenly, but that doesn't mean that it is an illusion. Good one. Radical skepticism rules out absolute certainty, and thus leaves us with probabilistic epistemology--a strong case for Bayesianism. 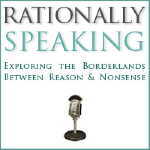 This was very interesting podcast and I think that you might want to consider another one on modern skepticism. I am talking about 20th century skepticism and the history of CSICOP (now CSI) and Skeptical Inquirer. I think that many readers and listeners are not aware of this history and in response to what all these activities came about.